Its been a strange year for plants this year it has been so hot at times and very dry. Temperatures then dived down low - up and down and my poor fig tree was all out of sorts, not knowing what quite to do. It wasn't until the leaves started to fall that the fruit got a second wind and decided to grow from dry little thumb size fruit to something more edible. They were obviously ripe as the birds had noticed them too! 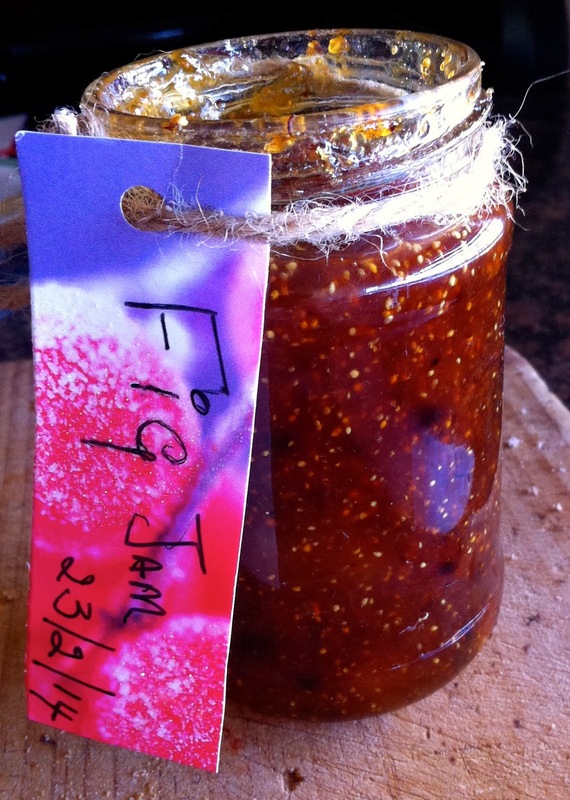 I picked 3kgs of figs, once peeled and chopped they yielded 1 kg of fruit -enough to make 4 nice jars of fig preserve. Of course it needed testing before I give some of it away! 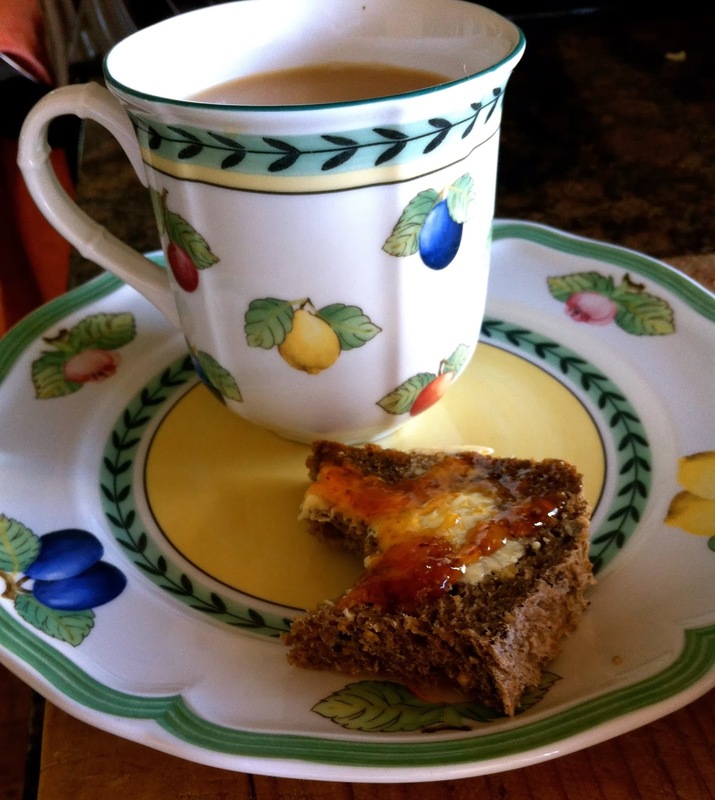 It is absolutely perfect for cheese and biscuits in place of quince paste, or as I did tonight on plain bread and butter! That looks so lovely on your piece of bread and butter, Denise! And to know that the figs are home-grown! I would so love to try growing something, even if it was just a herb garden to begin with. I have to admit that I noticed when I was in Australia these past months that the weather can be really extreme with temperatures shooting wildly up and down all the time. Here in Greece it gets very hot in the summer of course, the the temps seem to be a bit more consistent! Hope you enjoyed your trip to Australia. The fig tree this week is looking sensational - the weather a touch cooler and the parrots were there today eating the top ones. Dam it! I keep hearing about the searing heat, whilst we're here in constant damp. Your jam looks so tasty and how wonderful that you have your own fig tree, lucky recipients of the other jars! Thanks Jude, the cooking course was very interesting will blog it later this week. The fig tree is at least 50 years old! so it produces loads of figs, and I thank the German or more likely the Maltese inhabitants of this house before us who planted it, it is a gem. Two jars have gone to good homes already. Thanks Karen, just making a second batch fig and chilli jam, I will post that also when its done.